We are here to help you 24 hours a day, 7 days a week. From water heaters to a slab leak repair, you can count on us to solve all your plumbing problems with integrity in a prompt and professional manner. Finding a trustworthy and dependable Pensacola Plumber for your next plumbing project or unexpected plumbing emergency can be easier when a friend, neighbor or family member can give you a recommended plumbing contractor to call. If you are doing your own research, we want to earn your business. Our flat rate pricing and expert technicians will provide the value and peace of mind you deserve. We hope you call us first, but just in case, here are some tips before hiring a Pensacola plumber. Tips on hiring a Pensacola plumber. Even if you do not need a plumber immediately, you may want to find a plumber you trust in advance. 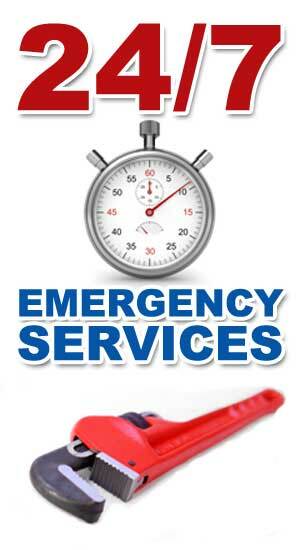 Don't wait until you are in a desperate situation dealing with a major plumbing emergency. If you have a major plumbing emergency, you want to make sure you are hiring the right plumber for the job. Depending on the plumbing issue you are dealing with, you may want to get several estimates. Keep in mind that some plumbers specialize in certain areas like drain cleaning, sewer line replacement and repair as well as leak detection and slab leak repairs. You may find the plumber that can handle just about any plumbing problem. Most homeowners will want to make sure the plumber is licensed, insured and bonded. Some plumbers in Pensacola may also be able to handle new constructions, bathroom and kitchen remodeling. A plumber should also be able to give you references when asked. Remember, your plumbing is vital to both your home's value and your families health, so choose wisely and don't just look for the lowest price. A professional plumbing company that takes pride in their work will not cut back on quality just to get the job. Escambia County: Pensacola FL, Century FL, Barrineau Park FL, Bellview FL, Beulah FL, Bratt FL, Brent FL, Brownsville FL, Cantonment FL, Ensley FL, Ferry Pass FL, Gonzalez FL, Goulding FL, Innerarity Point FL, McDavid FL, Molino FL, Myrtle Grove FL, Pensacola Beach FL, Perdido Key FL, Pleasant Grove FL, Walnut Hill FL, Warrington FL, and West Pensacola FL. Santa Rosa County: Gulf Breeze FL, Milton FL, Jay FL, Allentown FL, Bagdad FL, Chumuckla FL, Holley, FL FL, Harold FL, Munson FL, Navarre FL, Navarre Beach FL, Pace FL, Oriole Beach FL, and Whitfield FL.